I love bellwork. My Algebra 1 students love bellwork, too. It's a great way to refresh their memory of the previous day's topic. If a student was gone, they will often ask their tablemates for help during the bellwork time. Plus, it's a chance to have a little fun. Since talking to some of the other teachers at my school about bellwork, some have started implementing it in their own classrooms! I would love to see it become a school-wide expectation in my district. I already introduced you to Stan. I gave my Algebra 1 students a real-life proportion to solve. 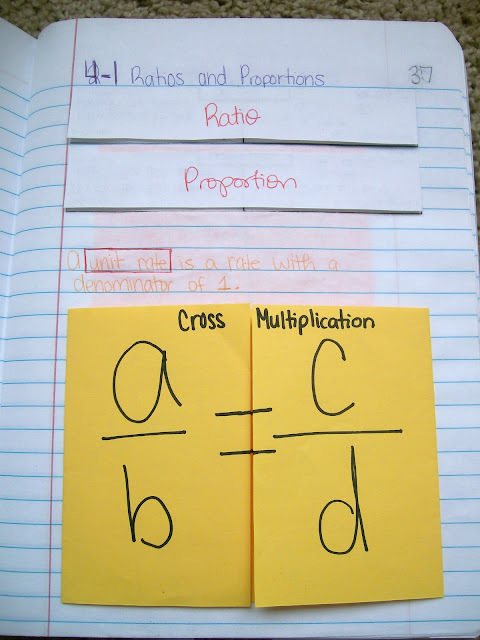 I liked this set-up better than giving students the option of which method to use. I wanted to show students that we would get the same answer either way. My next lesson to be taught in Algebra 2 is solving quadratic equations by taking square roots. We've already solved by factoring and solved by graphing. Since my Algebra 2 students are lacking some essential Algebra 1 skills, I decided it would be best to spend a day reviewing square roots before trying to solve by finding the square root. I decided the best way to review square roots was to do a ton of practice problems. I created a Smart Board file with page after page after page of practice problems. Students would copy the problem on their dry erase board and solve. After making so many slides, I was bored. And, I knew that if I was bored my students would most definitely be bored. Ten minutes before class was about to start, I had an epiphany. What if I made the number under the radical sign random and unpredictable? There's no better way to do that than using dice. I pulled up the multiple dice file from the Smart Board Gallery and stuck it under a radical sign. Now, we could roll the dice to find the next number to take the square root of. Two dice = two digit number. So, in the above example, the number would be 22. I love that the students never know if the square root created by the dice will be a perfect square, simplify partially, or not simplify at all. We broke up into boys vs. girls. I would touch the Smart Board to flip the dice. The two selected players would race to see who could find the square root first. However, everybody was supposed to solve every problem on their dry erase board. As you can see from our score tally, the competition was intense. The girls would pull ahead by one point. Then the boys would catch up. The boys would get ahead, and then they would fall behind again. I have never seen my Algebra 2 students get this engaged in an activity before. Have a plan for who will compete against who. I let the students decide, and it didn't work as well as I intended. Some students didn't compete as much as others, but I didn't really have a way to regulate this because I didn't have a plan going in. From the start, tell them that the first answer that they hold up is their one and only answer. Otherwise, students will just hold up the problem, hoping that it won't simplify any further. Force them to fully work through the problem before selecting their answer. Come up with a better way to determine which team finishes first. As the students got better at recognizing the square roots that wouldn't simplify, I began having trouble determining exactly which team held up their answer first. This led to some calls that were protested. Well, after attending the Global Math Department's meeting over favorite review games, I knew I had to try out Alisan Royster's Review Auction idea. I made up a worksheet with 2 columns. The left column had 10 equations to solve. The right column had 10 answers. Some of the answers were correct. Others weren't. I gave the students time to solve each equation and decide whether my answers were correct or incorrect. This was much harder for them than expected. When I gave them the answer, they didn't know what to do. They felt like they had to use that piece of information somehow to solve the problem. After a few reminders that we were still just trying to get the variable by itself, the students caught on. Depending on the class size, I broke the class into groups of 3 or 4. Announce that we are going to have an auction. Present each group with their own paddle to bid with. Yes, every one will want to be the one to hold the paddle. 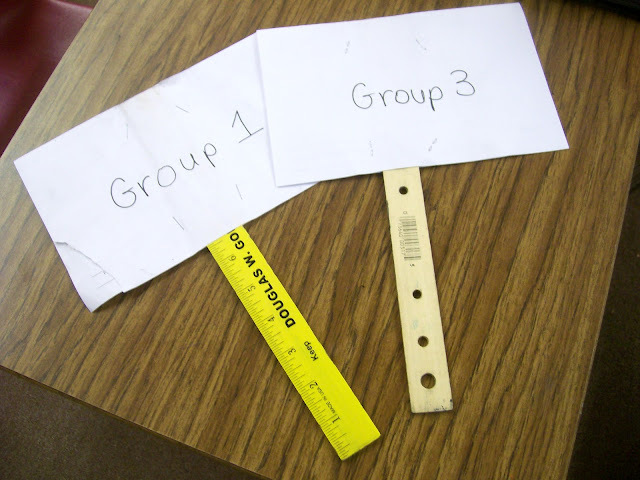 In their group, the students need to compare their answers. What questions have the correct answers given? Which answers were incorrect? The goal of the review game is to be the team that purchases the most correct questions. Purchasing an incorrect question will cause you to lose an additional $500. If there is a tie, the team with the most money left over wins. The auction starts. Each group decides how much they want question one. Debates ensue over whether the answer I gave was correct or not. Students disagree. Decisions must be made. This is a fast-paced auction, after all. After all the questions have been auctioned off, we worked out each problem on the Smart Board. We counted up how many correct questions were purchased by each team. Yes, there will be the teams that spend almost all of their money on one question. Then, there will be the teams that are too frugal with their money and end up with lots of money and only a single question in their possession. Winners were crowned. Tootsie Rolls were distributed. Fun was had by all. One student claimed that she helped her team win because she used to work at an auction house. Another student came up to me after class and told me that he learned his team's winning strategy by watching Auction Hunters. 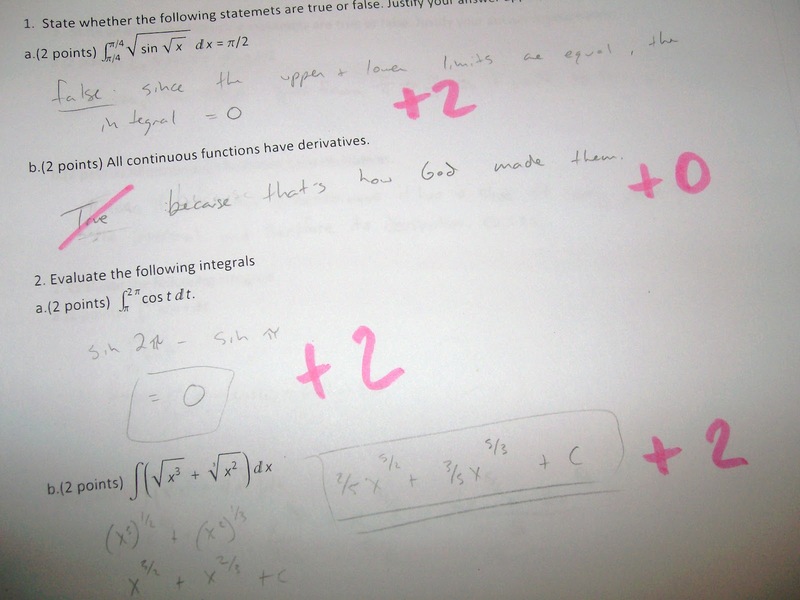 Here is the review auction sheet I used for solving equations. One of my wrong answers actually fooled some students. It highlighted a very common mistake. My other wrong answers, however, didn't fool a single student all day long. But, I guess that's okay because it means my students knew how to solve equations. Meet Stan. Stan's the sort of guy you end up with when you decide to change your bellwork five minutes before class starts. In a rush, you search google images for the perfect picture of a coordinate plane. You find one that even has points already marked by letters. You want to start involving the class in some error analysis. So, you have a fictional character wrongly identify one of the points. Oh, this fictional character needs a name. Does the name really matter? No, not as long as you pick a name that doesn't belong to one of your students. Stan will work. Now, you have Stan misidentifying a point on the coordinate plane. You give your students this information and ask them if Stan is correct. Most importantly, you ask students to justify their answer. Why is Stan correct? Or, why is Stan incorrect? Students will notice that Stan is a little weird looking. Students will want to draw a mustache on Stan to make him a little less weird looking. Students won't always answer the "Why?" question in the way you expect them to. 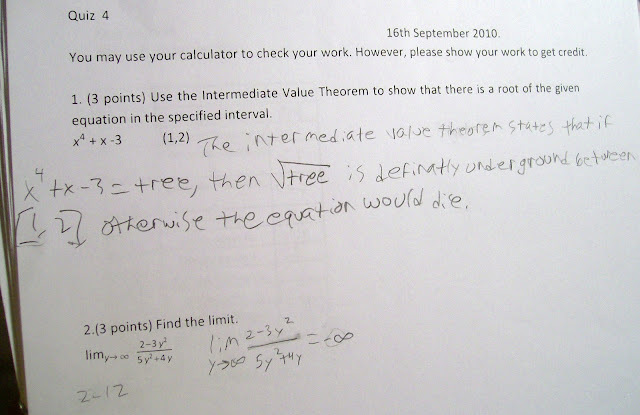 Student: His math teacher isn't as smart as my math teacher. 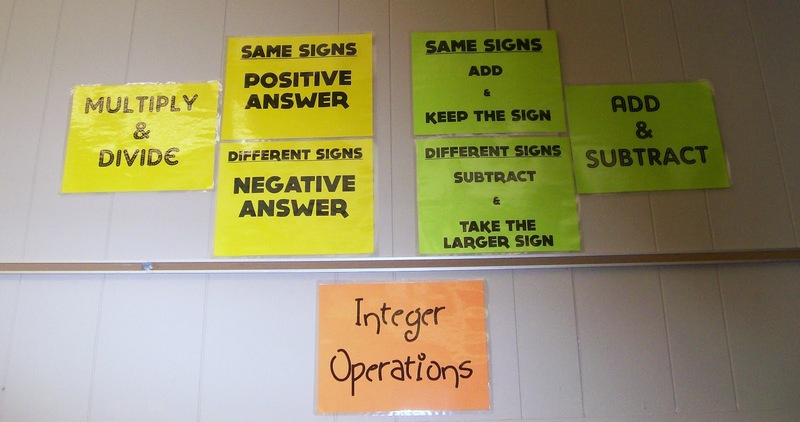 For over a month now, I've been meaning to set down and create a set of posters that summarize the rules for integer operations to hang in my classroom. Today, I finally did it. At one point in the semester, I had these written out on my dry erase board. I never saw anyone use them, so I decided to erase them when I cleaned my board. The next day, I had several students questioning me about where the rules had gone. So, I rewrote them on the board. A week or two later, my computer and Smart Board decided to stop working. No Smart Board means I have to use the dry erase board. So, I ended up erasing the rules again. And, again, I heard from several students who wanted to know where the rules had gone. They've been erased for a while now with no more complaints, but we're getting ready to start graphing using a t-chart. So, I wanted to create a permanent place in my classroom to post a short reminder of the rules. It is my goal that by the end of the year all of my students will know these by heart. But, until then, I want them to have a place to look when they can't remember instead of just guessing. Here are the posters I created. These aren't arranged exactly as I want them, but I'm going to live with it. I'd planned to hang the title poster on top. But, that's not going to happen. You see, I have two options. I can either live with this arrangement or I can carry a ladder up the stairs to the second floor. And, I just can't justify toting a very heavy ladder up a flight of stairs to arrange a few posters. Now, when I finally get all of my large posters laminated, I may bring up the ladder and hang everything exactly where I want it. But, until then, this will do. I can't wait for the next chapter in Algebra 1. I know, I know. I just started a new chapter in Algebra 1. We're getting ready to learn how to graph functions. But, what I'm really excited about is teaching my students how to calculate slope and use the slope and y-intercept to graph functions. I'm excited to have my students create mountain slope pictures. My cooperating teacher at the middle school level had his 8th graders do this before I got there. So, I only saw the end results. But, I loved them so much that I knew I had to file away the idea for the future. Give each student a sheet of graph paper. Instruct them to draw a mountain range. 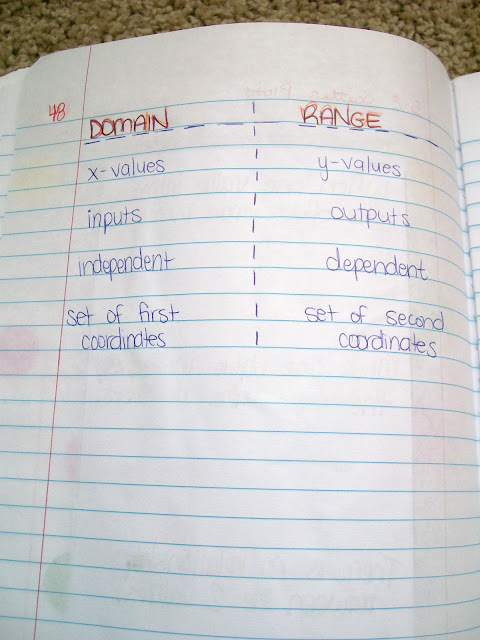 Students must then calculate the slope of each side of each mountain in the range. After calculating and labeling all the slopes, the students name their mountain range and color it. I'm debating whether to teach my Algebra 1 students about the Slope Tree or Mr. Slope Guy. 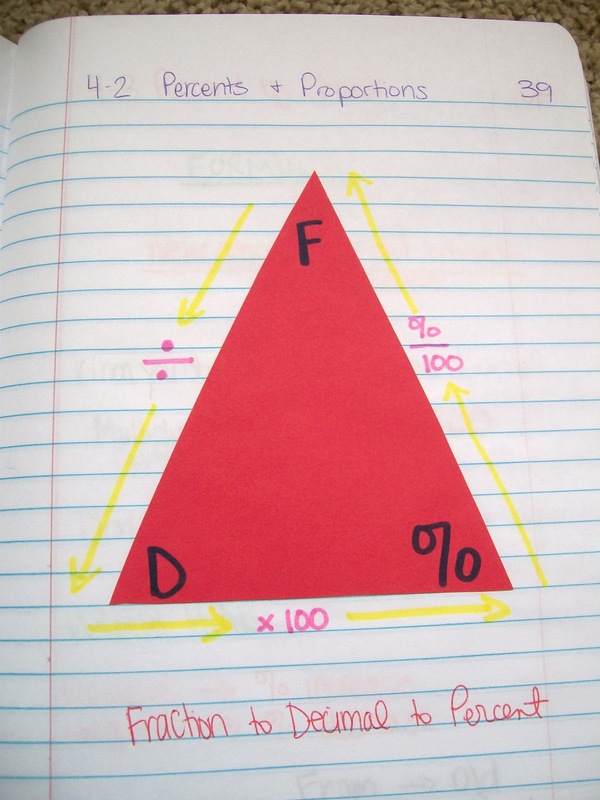 But, I'm definitely using this Alphabet Slope Activity to get in lots of practice. And, I've heard good things about the Slope Dude video on twitter. I want to modify my Slope Foldable to include a section on how to calculate slope from a table. I also can't wait to get over this cold. How am I spending Fall Break? Sick and in bed. This is the first Fall Break I've had since high school, and I haven't even been able to enjoy it. However, I guess I should be thankful that I'm getting this cold over with while I don't have to teach. I learned during my student teaching that trying to teach with a cold is miserable. I can't wait to start graphing in College Algebra. We've spent the first nine weeks of school going over the review chapter in our textbook. Needless to say, this material was not review for these students. I had to teach almost every concept as if they had never seen it. I can't wait for my Algebra 2 students to realize what an amazing resource our graphing calculators are. I taught my students how to find the zeroes of a function using the graphing calculator, and some of the students hated it. One student pleaded to be able to solve the quadratics by hand. I explained that we needed to learn how to solve them using the calculator since the end of year test will have higher order polynomials that we will not know how to solve by hand. I think one of the biggest problems my students are having is with the left bound / right bound prompts. They don't know the difference between left and right. 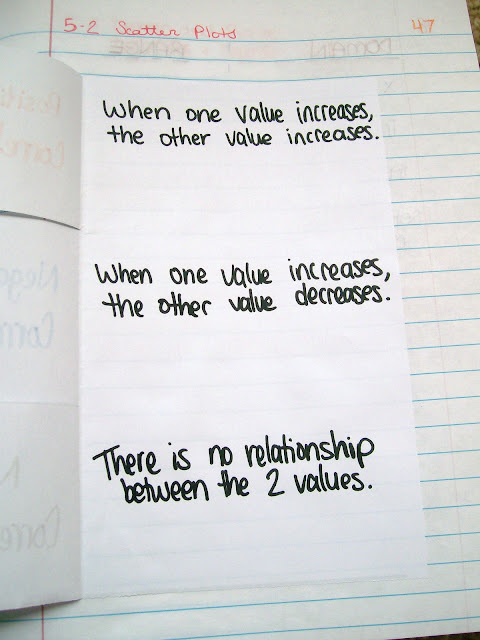 I learned this by working with my Algebra 1 students. 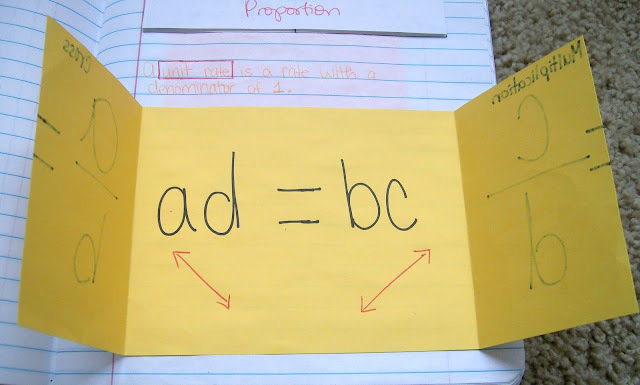 When we were solving equations and inequalities, I would often ask them what was left on the left side. Almost always, they would tell me what was left on the right side. They've gotten a lot better at it. I guess I've drilled left and right into their brains enough by now. My older students still need some left / right lessons, though. I can't wait until I can find some time to delve into the book I recently ordered. It's called Inspiring Active Learning: A Complete Handbook for Today's Teachers. I came across this book while researching the boss / secretary concept. I have used it as well as the muddy to clear strategy. Both worked really well with my students, and I am excited to learn more strategies that I can put to use in my classes. At the same time, I'm trying to further develop my teaching strategies beyond foldables and interactive notebooks. Everyone tells me that I am doing a good job, but I know that I could be doing so many things better. I have so much room to grow. 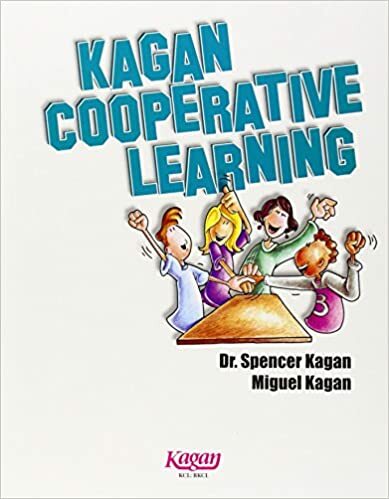 I've been doing a lot of research lately on Kagan Cooperative Learning strategies. 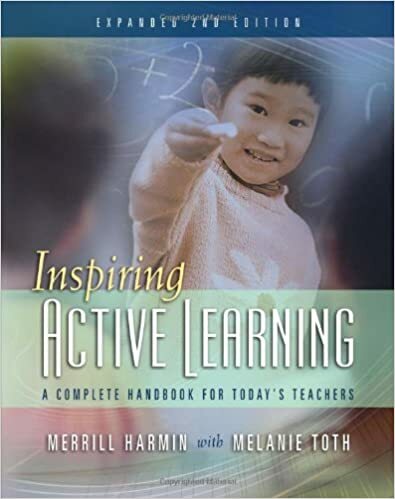 I just ordered a new book, Inspiring Active Learning, from Amazon that I can't wait to delve into. I've already tried several of the strategies, and they were amazing. So much to blog about! 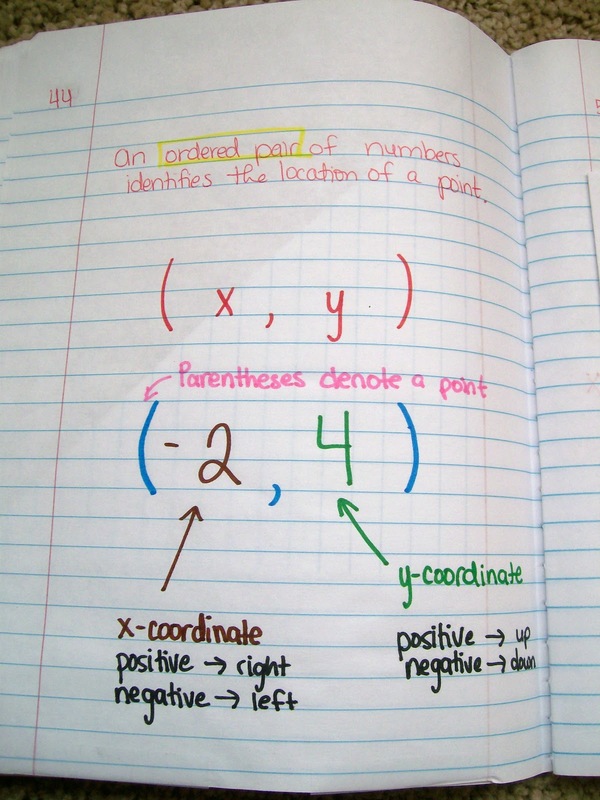 Here's my latest interactive notebook entries for Algebra 1. 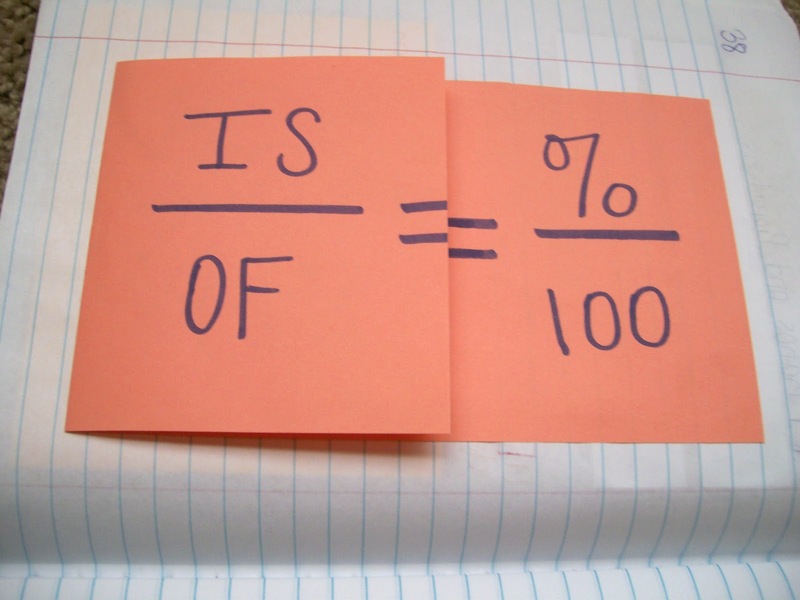 I'm teaching this the same way my Algebra 1 teacher taught me: "Is over of equals percent over one hundred." 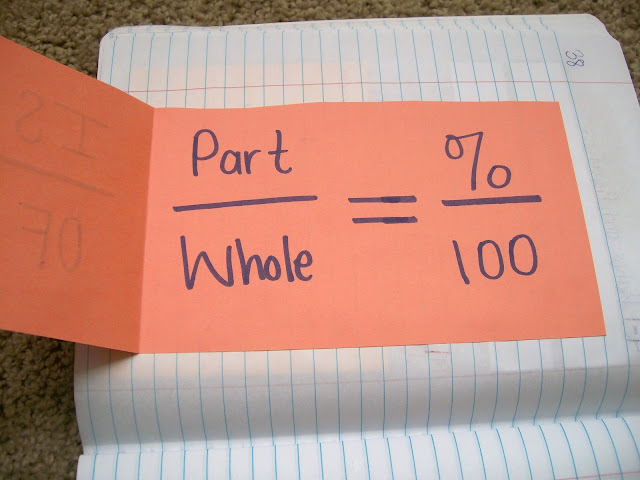 Part over whole equals percent over one hundred. 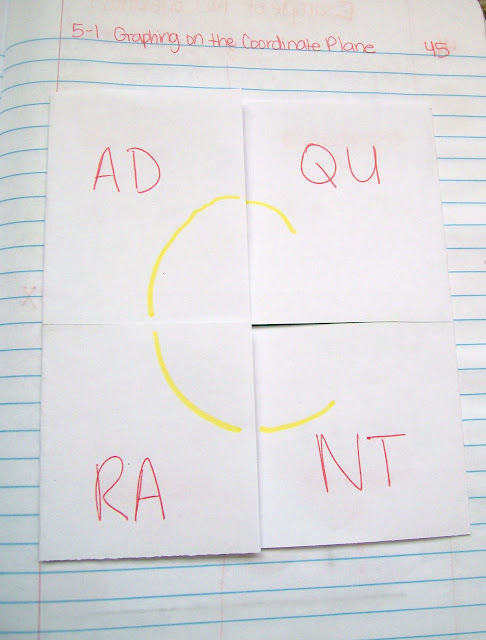 A commenter suggested using the letter c to remind students of the order of the quadrants. I had never been taught this way, but I decided to give it a try. My students loved it. 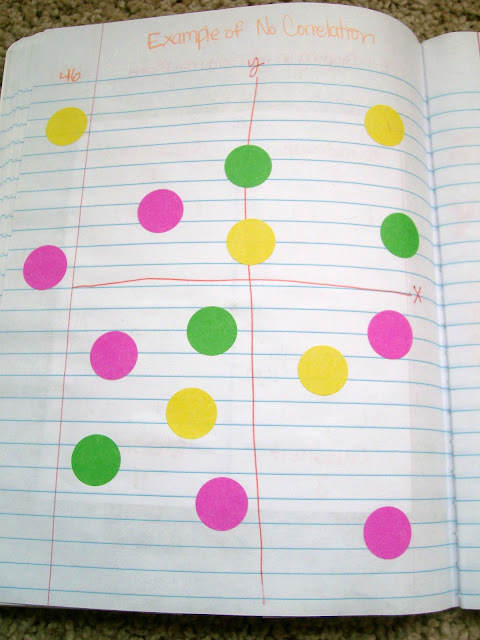 I gave each student a sheet of neon dot stickers. They used their dots to create a scatter plot. We took turns looking at each student's scatter plot and determining the correlation. My students loved it. 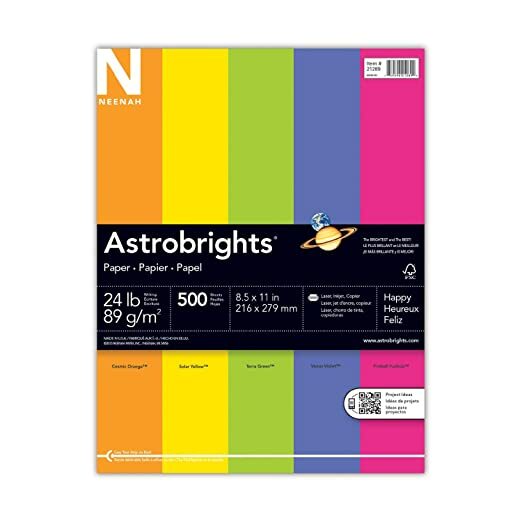 This blue paper is from my favorite Astrobrights paper assortment. Well, I survived my first round of parent teacher conferences as a teacher. Reaching this milestone means that I am officially 25% done with my first year of teaching. I sat in on one evening of conferences during my student teaching. Basically, I just shook hands with the parents and sat there quietly while my cooperating teacher did all of the talking. Maybe I should give this problem to my Algebra 1 students as bell work on our first day back from Fall Break. If Ms. H has 68 students and 8 of their parents showed up for conferences, what percentage of parents showed up for parent teacher conferences? We've just finished our chapter over ratios and proportions. Even though we're starting to graph now, I need to keep reviewing these previous concepts as much as possible. Honestly, my first year of teaching is going pretty well. Throughout my education program in college, I didn't really feel like it was preparing me all that much for life as a teacher. We read about classroom situations and discussed how we would handle them. We practiced writing tests for imaginary classes and imaginary students. We wrote 6-10 page lesson plans for lessons we never intended to teach. We observed teachers in their classrooms and wrote about what we saw. I excelled at these things, but at the same time I knew that these would not necessarily correlate to success in my own classroom. Student teaching was the best thing that could have ever happened to me. At my first placement, I didn't learn a lot about teaching, but I did learn a ton about working with at-risk students. I saw first-hand what happens when the pace of teaching and the method of teaching doesn't match what the students need. These students were years behind in math. Some didn't even speak English. One student I worked with had never learned what "divide" meant. Working a few examples on the Smart Board and giving the students their homework assignment wasn't working. By the time I got there in January, these students were even more behind. On top of that, they were frustrated. They believed that they couldn't be successful in math. The homework completion rate was extremely low. And, test scores matched that. At my second placement, I still didn't learn a lot about teaching. 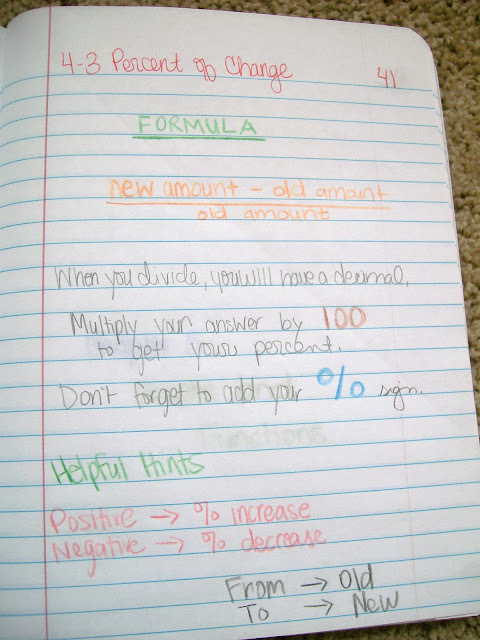 All of the 8th grade math topics had already been covered. Instead, it was my job to prepare the students for the 8th grade state math test. There, I learned about decision making in the classroom. I learned about classroom management. I learned the importance of reflecting on my lessons and revising them. I found out that it was okay to scrap something that isn't working even if I spent hours on it. For weeks, I prepared those students for a test that would greatly determine their future. Since getting this job in April, I've been planning. What will my classroom look like? What will I teach? How will I teach it? And, thanks to my many blogging friends, I began making grand plans. I bookmarked their ideas. I scoured pinterest for hours. I read 4 different books on the best way to teach. Each book contradicted the other books. I had all these ideas floating around in my head, but I didn't know which ones were the right ones. This summer, I started actually using twitter. It's been life-changing to say the least. I can't imagine life now without my twitter friends. Being one of only two math teachers at the high school can be lonely. The other math teacher is right across the hall from me, so we compare notes about our Algebra 1 classes during the passing periods. We talk about what worked and what didn't. He listens to me vent, and for that I'm most thankful. But, on twitter, I have access to so many experts. They've been teaching for years, and they know how to teach math. Ideas I would never dream of coming up with on my own are shared. They've helped me transform so many of my lessons. I always leave twitter feeling inspired. So, what actually goes on in my classroom? Some days I feel like such a fraud because I have posted all these things on my blog that I planned to use or do and they just don't happen. Bellwork. Originally, I was going to do an ACT practice question each day. Then, I changed my mind to doing Stella Stunners. I did these brain teaser type puzzles for two weeks. 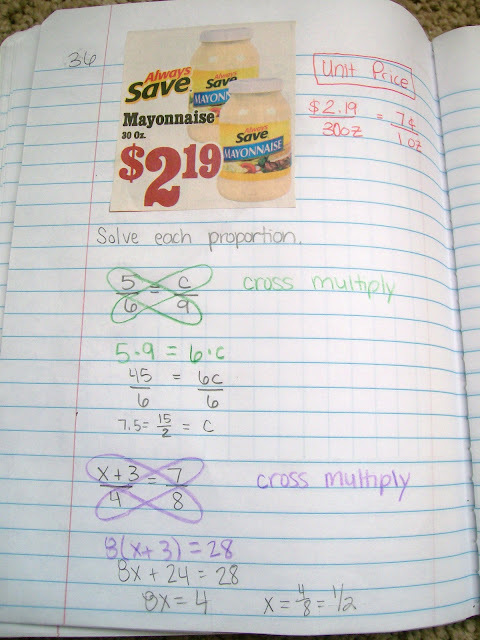 I wanted to develop my students' problem solving strategies. That failed. A few students would try. The others would declare it was too hard and wait for me to give them the answer. I still do bellwork. But, I've started doing review problems from the previous lesson or reviewing a prerequisite concept for the current day's lesson. Amazingly, my students come in my classroom and start on their bellwork without being asked. (Well, most of them do. I have a few who still need to be reminded.) They can't wait for me to check their answers. It's a beautiful thing. I'm the only teacher in my school who uses bellwork, and I can't imagine my classroom without it. The first few minutes of class are not wasted. In fact, I am often ready to start teaching before the bell even rings. Exit Tickets. Yes, I said I was going to do an exit ticket every day. The teaching books told me I needed to. I write them in my lesson plans. But, I may only actually do one every two weeks. I like to use them when introducing a new concept for the first time. I've found, though, that I really don't need them. I teach really small classes. I only have 7-17 students in each of my classes. We use our dry erase boards to solve problems every day. The students solve the problem and hold it up for me to check. I don't need the exit ticket to tell me who has it and who doesn't. I already know. I am a work in progress. I work to become a better teacher every single day. Some days are more successful than others. It's hard. There are so many variables in my students' lives and my school that I can't control. But, I'm learning, with the help of my amazing twitter and blog friends, to do my best at what I can control. It's after 11 p.m., and I should be sound asleep. Instead, I'm writing this blog post about what I'm excited for in the near future. So, here is the inaugural edition of "What I Can't Wait For..."
1. I can't wait to try out Boss/Secretary with my Algebra 1 students tomorrow. I tried it today for the first time with my Algebra 2 students, and I am in love. 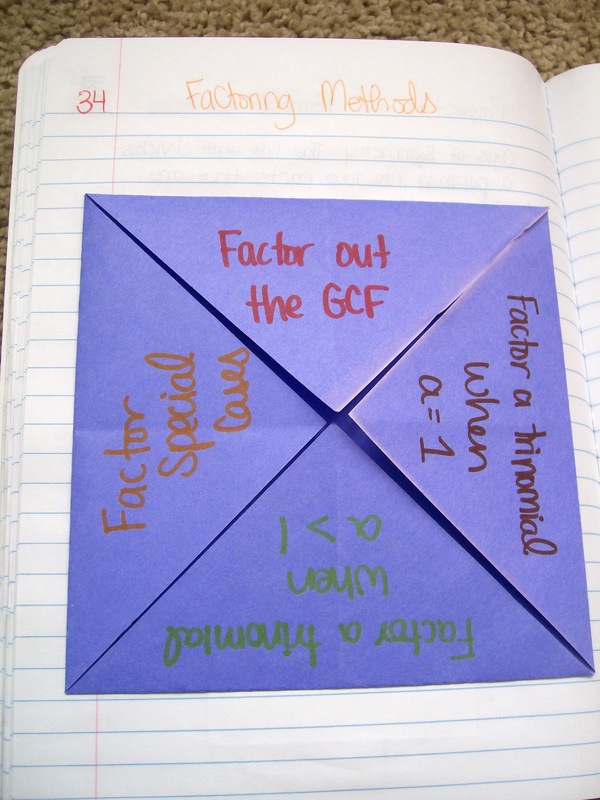 It provided the structure for the most amazing factoring practice I have had with these students. They loved it. I loved it. And, every time they got a question right, they would have to declare that they got it right "like a boss." 2. I can't wait to teach scatter plots and types of correlation in Algebra 1. During my student teaching, I taught this with M&M's. My school just adopted a no food in the classroom policy, though. 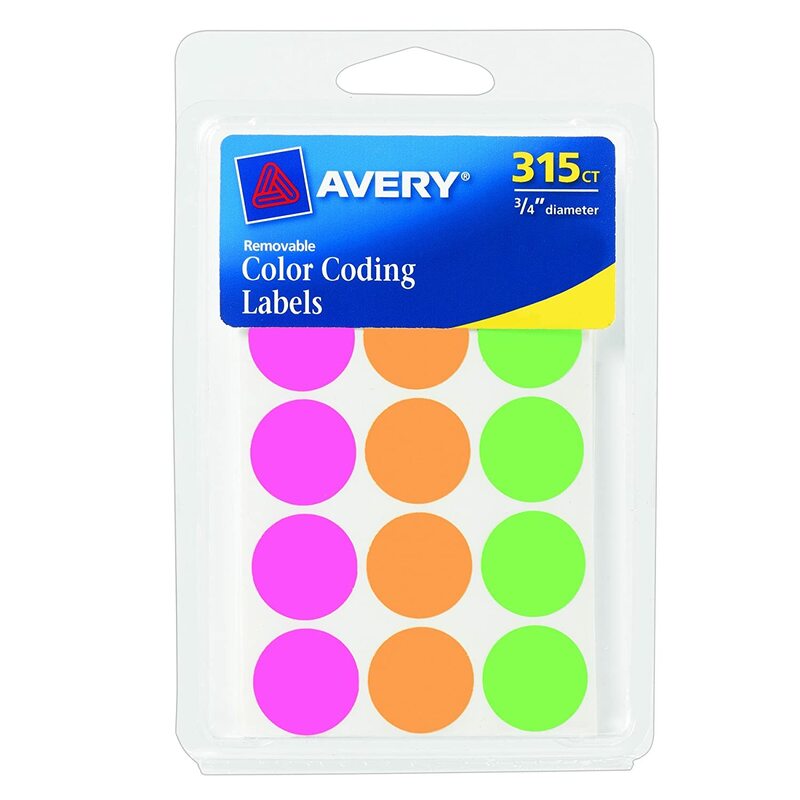 So, I picked up some colored neon dot stickers at Big Lots this weekend. 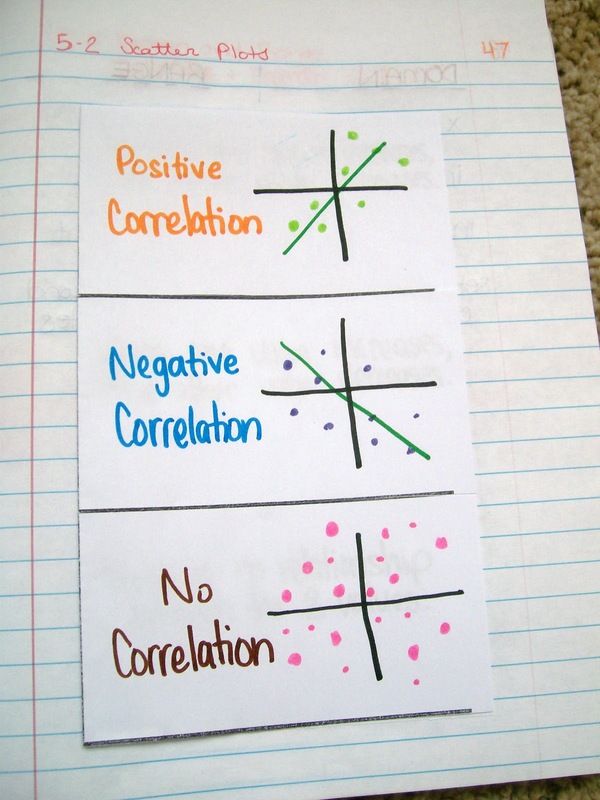 I am going to let the students use the stickers to create scatter plots with each type of correlation. I think the tactile nature of placing the stickers in their interactive notebooks will help solidify my students' understanding. 3. I can't wait to teach my students how to play coordinate grid battleship. I actually taught my 8th grade Algebra 1 students how to play the other day. They were a day ahead of my other classes, and I wanted to do something fun but educational for Friday. They had a blast, but I had a really tough time explaining the rules. Only two of my students had ever played actual battleship. So, the majority of my students had no concept whatsoever of the game. However, after they got into it, they were hooked. They have even asked to play it again. 4. 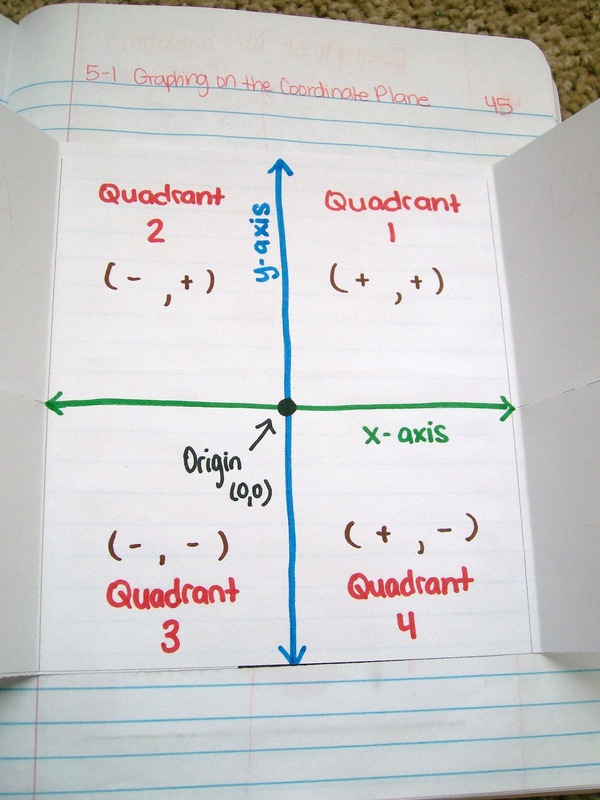 I also can't wait to do the coordinate grid pictures with Algebra 1. My Algebra 1 teacher taught us how to do these, and I want to continue the tradition. I've seen so many cool designs on pinterest. Now, I just have to decide which ones to print off for my students. 5. I can't wait to try to play coordinate grid hangman in Algebra 1. I've never played this before, but it sounds like a ton of fun. 6. I can't wait to move onto Chapter 1 with my College Algebra students. We have been on the review chapter for ages and ages. I'm having to reteach almost every single concept that should have been taught in Algebra 1 or Algebra 2. I love graphing, and that's chapter one! 9. I can't wait for Student Council State Convention. It's in the beginning of November. I'm excited to go and try to learn more about what student council is all about. But, I'm also excited to mark it off my to do list. This has been a major undertaking to prepare for. It's going to be six kids plus me and another teacher for three entire days. 10. I can't wait for Christmas. There are just so many things to love about Christmas. Christmas carols. Hot chocolate. Christmas Ornaments. Watching the kids at my church act out the Christmas story. Christmas movies. Christmas novels. Maybe I'll even convince my sister to play the Christmas light game with me for old times' sake. I'm not having the best of days. I seem to have had quite a few of these of late. Don't get me wrong. I still absolutely love the teaching part of my job. It's the other aspects of my job that have me frustrated. There is so much drama that comes with working in a public school. I try to keep up with everything that's going on, but it just ends up making me mad. On top of the school drama, one student both entered and left my room today in tears. Another student has decided to refuse all of my offers to help. She wants me to let her fail. I can't let myself do that, but at the same time I don't know how to help someone who won't let me help them. And, I'm pretty sure that I teach at a school with an absence epidemic. These students miss school for EVERYTHING under the sun. So, to help cheer myself up and remind myself why I do what I do, I am going to blog over something happy and exciting. In the past week, I have had students ask me if we could do certain activities again because they enjoyed them so much the first time. I learned about this strategy from the Global Math Department's meeting over favorite review games. I actually haven't used this as a review game, but I have used it on days where I need students to do a ton of practice. Instead of just giving them a worksheet, I ask them to draw a clock on a piece of scrap paper. They then get about a minute to make appointments for 3, 6, 9, and 12 o'clock. I love listening to them make their appointments. I often hear gems such as "Sorry, I'm booked." I divide the worksheet into four sections so they can complete one section of the worksheet with each partner. I really like that students aren't stuck with the same partner for the entire worksheet with this strategy. Sometimes they are working with friends. Other times they are working with students they don't know as well. Sometimes it is somebody at the same level or different level. Since students know they only have so long before they will switch partners, they are more motivated to work efficiently. 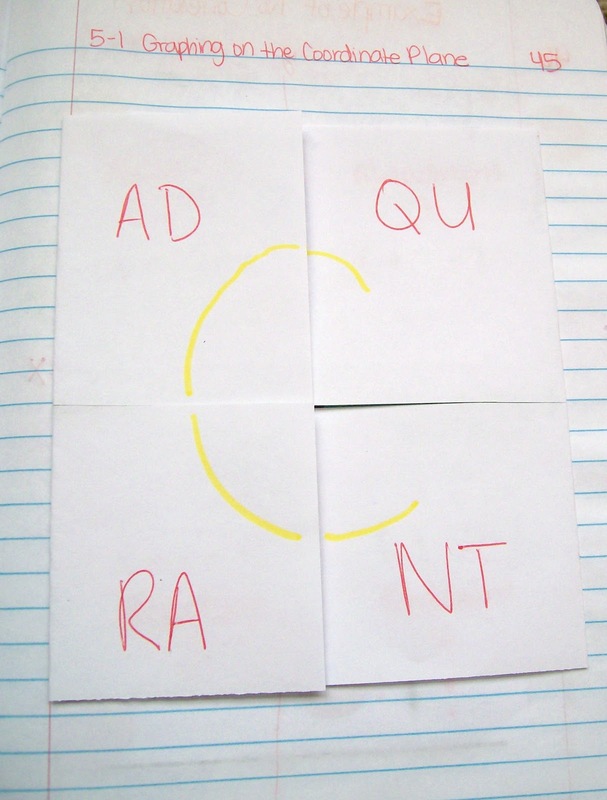 Upon googling this strategy, I ran across a more detailed explanation on the blog of a social studies teacher. She has students create many more appointments than I do. Her explanation is definitely worth a read! She picks some of her students' partners ahead of time to ensure that some of the pairings will achieve a specific purpose. I did like the idea of creating an appointment clock to be used for the entire semester or year. Once this has been created, it would become super easy to group students at any time. 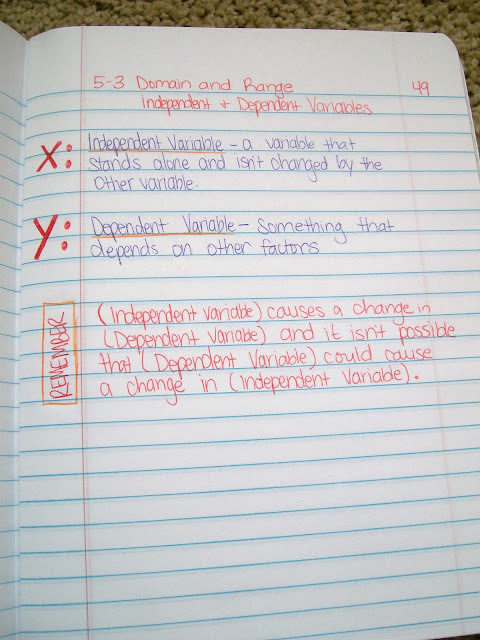 Plus, I think this would make a great addition to our interactive notebooks. 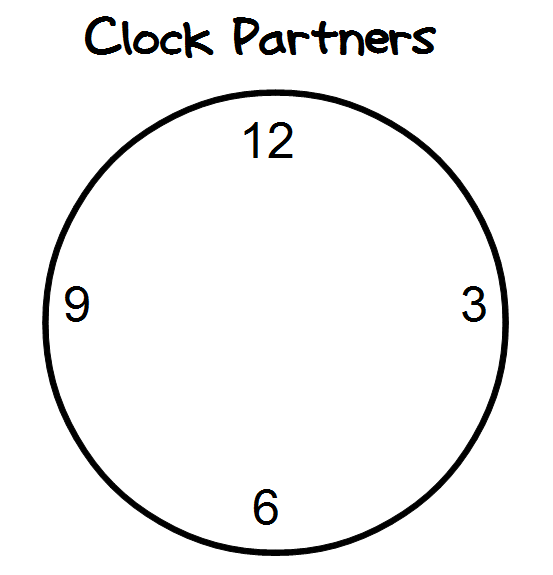 My 8th graders begged to do clock partners again the other day. Of course, I had to let them! This is a strategy I have used with both my Algebra 1 and Algebra 2 students. It has worked well for both. It's a definite keeper! 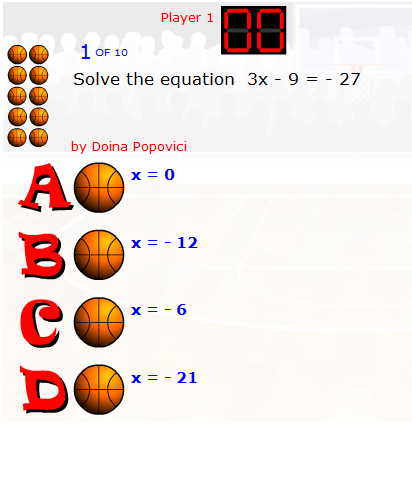 When teaching my Algebra 1 students to solve equations, I used a basketball game that I found online to motivate my students to do some extra practice. These were the same types of problems that I could have written on the Smart Board, but because they were in a game, my students did a lot less complaining. The idea of the game is simple. You get the question right, you get to try to make a basket. To shoot the basket, you click the mouse twice. I'm sure there is some advanced strategy to making the virtual basket, but I could never figure it out. I watched five different classes play this game over the course of a day, and I still couldn't figure out why some shots went in and others didn't. I let the students take turns coming up and shooting the baskets. It served as a small break between solving equations. The students really got into trying to make as many baskets as possible. It was fun to watch. The bell would ring and the students would want to hurry and solve one more equations so they could attempt just one more basket. Now, if we ever have a few minutes left at the end of class, students will occasionally ask if we can play the basketball game again. I cannot believe that it is already October. This school year is really flying by, and I'm afraid it will be Christmas before we know it. While I am excited for Christmas carols and hot chocolate and twinkly lights and chocolate candy galore, I want this semester to be as long as possible. I know as soon as we return from Christmas break that the time I have left to get my students ready for their end of instruction exams will quickly dwindle. I just started Chapter 4 with my Algebra 1 students today. We're studying ratios and proportions. In the next chapter, we will start graphing! I am so excited to teach my Algebra 1 students how to graph. My Algebra 2 students came to me with the attitude of hating graphing. I want to change this for my students. Graphing should not be something to dread. I had students today that literally groaned when I mentioned that we would be starting ratios and proportions. They told me that this was what had made Algebra hard for them in the past. Last year, they didn't get ratios and proportions. Then, after teaching the lesson, they were in disbelief. This is all there is to solving a proportion? This is easy. 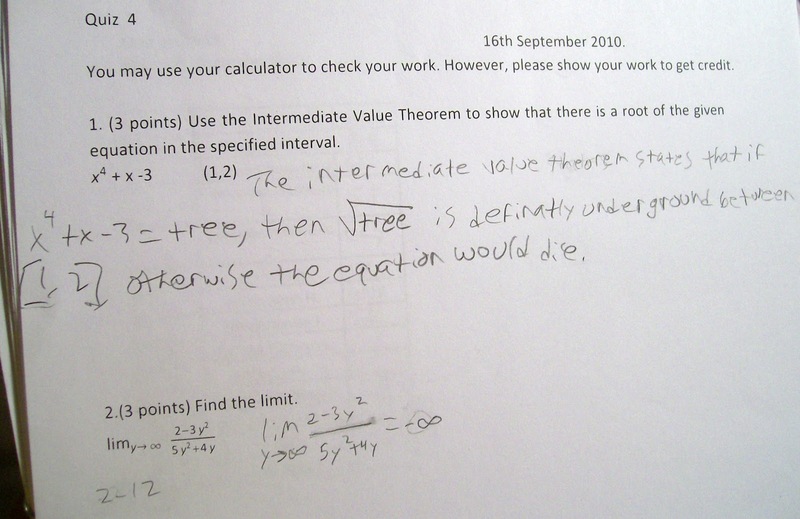 I teach students who are years behind in mathematics. They are not used to excelling in mathematics. On the end of year tests, students can score one of four levels: unsatisfactory, limited knowledge, satisfactory, or advanced. My goal is that each and every one of my students will score either satisfactory or advanced. Is this goal unrealistic? Maybe so. But, I have worked so hard this year and my students have worked incredibly hard. I want them to finish Algebra feeling confident. I want them to see that all their hard work has paid off. Tomorrow, I will leave my students in the hands of a substitute for the first time. I am taking my student council students to our District Meeting. I'm excited to take these students to hear a speaker and interact with other local students. But, at the same time, I hate leaving my classes. I'm leaving them a worksheet to do, but it's just not the same as my being there. My students already miss so much school due to school activities. I need to make every day count. I've been working crazy long hours trying to get ready for this trip as well as our 3-day trip next month. This morning I got to school at 6:10 a.m., and I didn't leave until 7:30 p.m.. I did do about 1.5 hours of tutoring during that time which accounts for part of my crazy day. I'm at a stage in my life where I can get by with working these crazy hours. Hopefully, I will soon get faster at doing stuff for my non-classroom responsibilities. I am Student Council Sponsor, National Honor Society Sponsor, Freshman Class Sponsor, and a Sponsor for our soon-to-be created Math & Science Club. I do the after school tutoring for math at the high school. These definitely keep me busy. I sat in on my first special education meeting today. I loved getting the opportunity to watch our special ed teacher in action. She is amazing. It was also great to interact with the student and her mother since we hadn't met before. I learned some things that I can put to use in the classroom to provide a better learning environment for this student. With every success from my Algebra 1 classes, I feel like I keep hitting roadblock after roadblock with my Algebra 2 and College Algebra classes. I'm working on factoring in Algebra 2. My College Algebra students are working on finishing up the review chapter in our textbooks. That's right, we're over 6 weeks into the school year, and we still haven't made it to Chapter 1. However, my students have learned so much. I'm trying a new technique with them tomorrow. I wrote out a 16 page handwritten study guide to leave for them with the substitute. I want to teach my students to be more self-motivated. I want them to be motivated by the process instead of the right answer. Don't Laugh. I dare you! One semester, I worked as a grader for the math department at my university. I graded quizzes and homework assignments for Calculus I. It was a ton of work for not a lot of money, but I thought it would be good to put on my resume. In all actuality, I didn't even put it on my resume since it wasn't actual teaching experience. Over the course of the semester, though, I snapped some pictures of the most amusing answers I came across while grading. 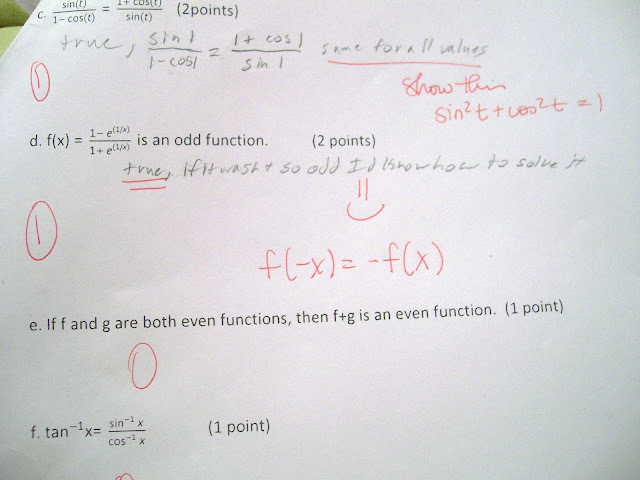 What funny or amusing answers have you come across while grading papers? Please share in the comments!